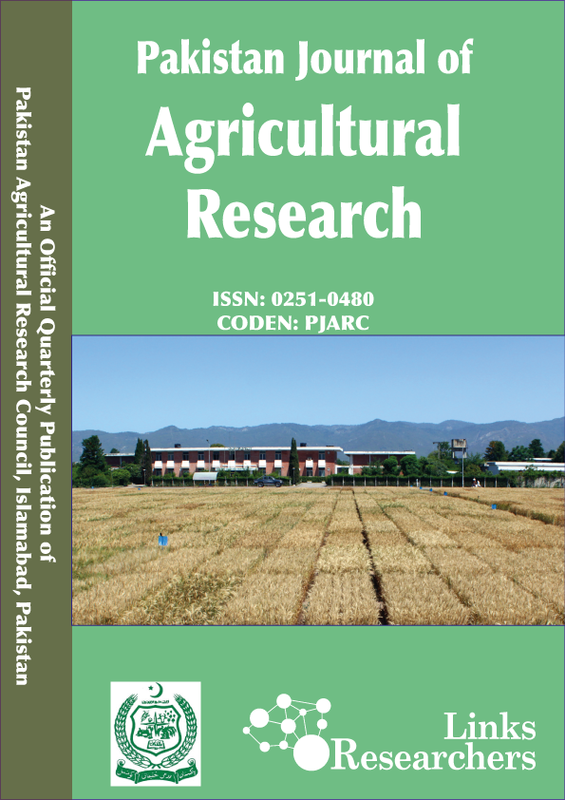 1PMAS-Arid Agriculture University Rawalpindi, Institute of Food and Nutritional Sciences, Department of Food Technology, Shamsabad, Murree Road, Rawalpindi, Pakistan; 2Rawalpindi Institute of Cardiology, Pakistan. Abstract | The current research deals with the extraction and encapsulation of pumpkin seed oil (Cucurbita pepo). Pumpkin seeds contain many active ingredients including polysaccharides, vitamins, proteins, essential amino acids, carotenoids, fatty acids like linoleic acid and linolenic acid, lignans, minerals and various phytochemicals. Due to the presence of two unsaturated fatty acids, these oils can reduce their biological activity on heating, volatilization, and other parameters like oxidation and UV rays. This limits the commercial application of these oils. To overcome such problems encapsulation could be a gentle approach. Prior to encapsulation, oil extraction was done by using five different solvents including ethyl acetate, n-hexane, methanol, diethyl ether and chloroform in which ethyl acetate yielded 53% oil. Pumpkin seed oil was encapsulated using gel entrapment i.e. extrusion method and indirect diffusion method using Ca-alginate. Pumpkin seed oil macrospheres showed 91.9 % encapsulation efficiency and 63.0 % loading capacity by direct extrusion method. However, indirect or diffusion method showed 43.0 % and 24.7 %. These results showed that direct method of encapsulation was suitable for oils to achieve maximum encapsulation efficiency and loading capacity at higher concentration of calcium chloride i.e. 0.5 M. Antimicrobial assay clearly indicated that pumpkin seed oil was very efficient against S. aureus, which is a gram positive bacteria. Pumpkin seed oil and control Streptomycin had almost same inhibitory zone that showed its effective use in food. In general, results showed that encapsulation is an effective approach for protection of active ingredients of pumpkin seed oil. Citation | Sohail, A., K.S. Abbasi, M. Arif and F. Najam. 2018. Encapsulation of pumpkin seed oil in alginate capsules. Sarhad Journal of Agriculture, 32(1): 20-27. Pumpkin is widely used as a food which belongs to the family Cucurbitaceae, having many species like Cucurbita pepo, Cucurbita mixta and Cucurbita maxima, etc. commonly known as Cucurbits. They are the most cultivated crop especially in tropical and subtropical countries having 118 genera with 825 species (Antika et al., 2012). Color of pumpkin fruit ranges from orange to yellow due to presence of vitamin A and have pulp and seeds inside the protective casing (Chonoko and Rufai, 2011). Oil extracted from pumpkin seed is rich in unsaturated fatty acids which makes its suitability for dietary purposes (Alfawaz, 2004). Antimicrobial activity of pumpkin has various applications in natural therapies preservation, pharmaceuticals and alternative medicine. Its different varieties showed successful antibacterial activity against S. typhi and S. aureus (Andjelkovic et al., 2010; Rajakaruna, 2002). Pumpkin fruit has many active ingredients including pumpkin polysaccharides, active proteins, essential amino acids like aspartic acid, para-aminobenzoic acid, carotenoids, fatty acids, lignans and minerals (Poehlmann and Schieberle, 2013; Fokou and Achu, 2004). Various phytochemicals have also been reported such as phenolic glycosides and other compounds like 11E-octadecatrienoic acid (Quanhong and Caili, 2005). Pumpkin seed has higher mineral content than melon and soya bean oil (Nwokolo and Sim, 1987). Pumpkin seed oil being essential oil is a rich source of these two unsaturated fatty acids. These oils can reduce their biological activity on heating, volatilization, and other parameters like oxidation and UV rays. This limits the commercial application of these oils (Soliman et al., 2013). To overcome such problems encapsulation could be a gentle approach. Encapsulation can be defined as “packaging technology of solids, liquids and gaseous materials in capsules form having controlled release properties over delayed time period” (Champagne and Fustier, 2007). This process includes the entrapment of bioactive components of food materials with any edible food grade coating (Ezhilarasi et al., 2013). In this method a retentive wall is formed around the core material. Encapsulation is one example of technology that has the potential to meet the challenge of successfully incorporating and delivering functional ingredients in a wide range of food products. •	Extraction of pumpkin seed oil using suitable solvent extraction method. •	Encapsulation of the pumpkin seed oil in alginate spheres using two different techniques i.e. gel entrapment extrusion method and indirect diffusion method. Pumpkin (Cucurbita pepo) seeds were purchased from the local markets of Rawalpindi and Islamabad. Seeds were cleaned using subsequent washings with distilled water to remove extraneous materials like dust or any other foreign particle dried at 60 oC in hot air oven to get constant weight (Topallar and Gecgel, 2000; Hegazy and Kinawy, 2011; Nwabanne, 2012). After complete cleaning and drying the dried C. pepo seeds were ground in a grinder for 1-2 minutes. The oil was extracted using 5 different solvents by continuous extraction in a soxhlet’s apparatus (Alfawaz, 2004; Cerutti et al., 2012). Dried ground Cucurbita seeds (10 g) were taken and placed in thimble and placed into the soxhlet’s apparatus. Five different solvents (300 mL each) as discussed above were placed in round bottom flask, connected to condenser having continuous water supply. Extraction procedure took 5-6 hours and the boiling point of the solvent used was matched with temperature at which the extraction process carried out. Extraction process is followed by evaporation through the rotary evaporator and remaining oil was taken in the sampling tubes (Azadmard et al., 2005). Dried ground Cucurbita seeds (10 g) were taken and same solvents (40 mL each) were added to it. These were then subjected to shaking for 2 hours at 600 rpm. After shaking, these samples were placed in dark for 72 hours for oil extraction. After 72 hours centrifugation at 3000 rpm, filtration was done. Supernatant was removed and solvents were evaporated by placing them in hot air oven (Ixtaina et al., 2011). Encapsulation of pumpkin seed oil was done by direct or extrusion method and diffusion method. In this method sodium alginate solution (2 % w/v) made, in which pumpkin seed oil was gradually poured by continuous stirring with magnetic stirrer for 10-15 minutes in order to get a mixture of sodium alginate and pumpkin seed oil. Pumpkin seed oil and alginate solution was dropped in the gelling bath of CaCl2 (0.1 M, 0.25 M, 0.5 M) using a syringe. Resulting macro spheres were allowed to harden for 30 minutes in the gelling medium (Wandrey et al., 2010). Sodium alginate (2% w/v) solution was prepared. It was gelled in CaCl2 solution (0.1 M, 0,25 M, 0.5 M). Blank macro spheres were then dispersed in pumpkin seed oil. Pumpkin seed oil is expected to diffuse in the blank macro spheres (Hariyadi et al., 2010). Encapsulated beads were analyzed for encapsulation efficiency and oil loading capacity. Encapsulation efficiency (EE, %) was calculated using the following equation. Where; Wo = Quantity of loaded pumpkin seed oil; WI = Initial quantity of pumpkin seed oil. Where; WES = Quantity of encapsulated pumpkin seed oil; Wo = Quantity of loaded pumpkin seed oil. Anti-microbial activity of pumpkin seed oil was determined by disc diffusion method against test microorganism S. aureus. Pure culture of S. aureus was obtained from Microbiology Lab of Food Technology Department, PMAS-AAAR. One colony was inoculated in 100 mL of nutrient broth and incubated at 37 oC for 24 h. Cells was harvested by centrifuging at 10,000 rpm for 10 min. 100 µl cultures was spread over the nutrient agar plates and incubated at 37 oC for 2 hours. Sterilized 5 mm paper discs were placed on plates. Pumpkin seed oil extract (10 µl) was placed on the paper disc carefully. Streptomycin was used as a positive control. Antibacterial assay was measured by the measuring diameter of zone of inhibition in mm. Data obtained through results were replicated thrice. Analysis of variance (Completely Randomized Design) was used to determine significant differences. The data was then analysed using Tukey’s pair-wise comparison, at 5 % level of significance, using computer software Statistics 8.1 (Steel et al., 1997). Oil content was obtained by using dipping method and soxhlet’s extraction method. Yield %age through different solvents is shown in Table 1. Ethyl acetate showed best results (51 % and 56 %) using soxhelet’s and dipping methods. These results show higher %age yield as compared to the results found for C. mixta (42 %) C. pepo (41 %) and 35 % oil content was found for different varieties of pumpkin (Gohari et al., 2011; Shobha, 2012). Table 1: Percentage yield of pumpkin seed oil obtained from different solvents by Soxhlet’s method and Dipping method. These values are mean ± standard deviation of 3 replications. El-Adawy and Taha (2001) showed that %age yield of the Egyptian and European varieties as 51 % and 55 % respectively. Whereas, Mitra (2009) showed lower yield value for the African varieties of C. pepo, i.e. 22 – 35 %. These differences could be due to the climatic, genetic and environmental difference or species diversification. Comparison of the oil content of pumpkin seed with some other edible oils is shown in Table 2. Table 2: Oil Yields of Different Edible Oils Comparable with Pumpkin Seed Oil. Alginate macrospheres of pumpkin seed oil were produced by extrusion method as described above. These were hardened by cross linking with calcium ions in 0.1 M, 0.25 M and 0.5 M calcium chloride solutions (Jiamrungraksa and Charuchinda, 2010). The surface of macrospheres containing pumpkin seed oil was porous. The porosity of these alginate macrospheres is due to the encapsulation of pumpkin seed oil (Abreu et al., 2012). Pumpkin seed oil in an encapsulated macrospheres (2.0 mm) was measured by UV- Spectrophotometry (Biotech Engineering, UK Model No. UV-9200) at 232 nm and measured by comparing with a standard curve produced by using a serial dilution of oil in sodium citrate (3 %) (Jafari et al., 2012). In this assay, pumpkin seed oil was added in different concentrations (0.01 – 1 mg/mL) of sodium citrate to make a calibration or standard curve. Encapsulation efficiency and loading capacity was then calculated accordingly. Encapsulation Efficiency %age was found by the equation described above. Statistical analysis showed that all the means of the encapsulation efficiency (%) are significant different from each other (with alpha 0.05). According to the Table 3, it is shown that the encapsulation efficiency (%) of the beads increased with increasing in CaCl2 concentration. Maximum value is 91.933(%) and minimum value is 74.217(%) at concentration of C3 and C1 respectively as shown in Table 3. Loading capacity % age was found by the equation described above. According to statistical analysis, significant difference present between all the concentrations tested for the loading capacity of pumpkin seed oil in macrospheres. Values of loading capacity (%) at different concentrations (C1, C2 and C3) are significantly variable from each other. Highest and lowest values are given in Table 3. With respect to results the highest value of loading capacity of pumpkin oil in macrospheres is observed at concentration (C3) that is 63.123%. and the lowest value observed at (C1) that is 52.227% as shown in Table 3. Table 3: Encapsulation Efficiency (%) and Loading capacity (%) by direct method at different concentration of CaCl2. Table presented the values of mean of three replications. Mean carrying same alphabetic letter are statistically non-significant at α P<0.05; C1: 0.1 M CaCl2, C2: 0.25 M CaCl2, C3: 0.5 M CaCl2. These results showed that encapsulation efficiency and loading capacity %ages were influenced by varying calcium chloride concentration (0.1 % – 0.5 %) with alginate concentration maintained at 2 % and cross-linking time of 30 minutes. These results are in relation with a study in which encapsulation efficiency was increased from 63.24% to 98.90% and loading capacity was increased from 56% to 72% by increasing the CaCl2 concentration from 1 % to 5 % (Manjanna et al., 2010). This trend is observed due to the reason that increasing CaCl2 concentration leads to increased levels of calcium ions which ultimately increase the density of macrospheres by cross-linking phenomenon which in turn increases the encapsulation efficiencies and loading capacity of oils. These results were in contrast with results obtained by Soliman et al, 2013. They found 22 % to 24 % loading capacity under the same conditions of calcium chloride and alginate concentrations. Indirect or diffusion method of encapsulation is done for the compounds that are not water soluble. In this method alginate macrospheres were exposed to different CaCl2 concentrations (0.1M – 0.5M) of solution for seven days. Molecular diffusion takes place to load pumpkin seed oil into alginate macro-spheres. This molecular diffusion takes lace due to the porous nature of blank alginate macrospheres. Table 4: Encapsulation Efficiency (%) by diffusion method compared at three different concentrations for seven days. Table presented the values of mean of three replications. Mean carrying same alphabetic letter are statistically non-significant at α P<0.05; C1: 0.1 M CaCl2; C2: 0.25 M CaCl2; C3: 0.5 M CaCl2. Table 5: Loading Capacity (%) by Diffusion method compared at three different concentrations for seven days. Encapsulation efficiency of resulting macrospheres of pumpkin seed oil for seven days with three different concentrations is shown in Table 4. According to statistical results there is significant difference present between all the means of all seven days. At concentration of C1, the mean of seventh day is 37.833 which are significantly different from value of seventh day means (41.033 and 43.083) at concentration C2 and C3 respectively. It shows that by diffusion method showed less encapsulation efficiency than direct gel entrapment method which was 92%. Loading capacity (%) of the pumpkin seed oil by Indirect or diffusion method is shown in Table 5 that contain the mean values of seven days with respect to the different concentrations (C1, C2 and C3). According to statistical analysis, there is significant difference present in all means of seven days against concentration (C1, C2 and C3). Mean of concentration (C1, C2 and C3) is (12.205, 13.494 and 17.705) respectively and these values are significantly variable from each other. Same as concentration means of all days (from day 1 to day 7) at all concentrations are significantly different from each other as shown in Table 5. Encapsulation efficiency and loading capacity %age found after this method were 37.8 % and 20.9 % respectively for 0.1 M calcium chloride, 41.3 % and 21.3 % respectively for 0.25 M calcium chloride and 43 % and 22.7 % respectively for 0.5 M calcium chloride concentration as shown in Table 5. Results showed that encapsulation efficiency and loading capacity are influenced by calcium chloride concentration. These results are supported by earlier work on eugenol encapsulation by Bilia et al., 2014. These authors represented that encapsulation efficiency was 20 % and loading capacity 12 % under above same conditions. Similar results were obtained by encapsulation of oregano essential oil by Hosseini et al., 2013, who reported encapsulation efficiency and loading capacity were about 47 and 8 % respectively by diffusion setting method. You et al., 2001 found higher values of loading capacity (60 %) by this method. The same increasing trend of loading capacity % age was found by Hariyadi in 2010. These authors reported 30 – 35 % loading capacity by increasing the concentration of calcium chloride cross-linking solution from 0.1 M – 0.5 M. This might be due to increase in diffusion time between blank alginate macrospheres (cross-linked in calcium chloride solution) and pumpkin seed oil. These macrospheres are porous from the outer surface by which molecular diffusion takes place. Increase in calcium chloride concentration increases its porosity which in turn increases the encapsulation efficiency and oil loading capacity of pumpkin seed oil. Antimicrobial activity of pumpkin seed oil was assessed against pathogenic S. aureus. Results showed good antibacterial activity against S. aureus. Average inhibition zone determined by disc diffusion method showed 11 mm ± 0.56. These results are slightly lower than results found by scientists in Adeel et al., 2014. Inhibition zone for Streptomycin standard was 12 mm ± 1.22. These results are nearer than those found by Kumar in 2010 who found 15 mm inhibition zone of pumpkin seed oil against pure culture S. aureus. This is due to certain antibacterial compounds present in pumpkin seed oil. The present research involves extraction of oil from pumpkin seed, followed by its encapsulation using gel entrapment method and indirect diffusion method. Maximum extraction of oil (53%) was achieved using ethyl acetate. Direct entrapment method showed high encapsulation efficiency i.e. 91.9% than indirect diffusion method. Loading capacity was also higher in gel entrapment method i.e. 63% than indirect method which showed 24.7% respectively. Pumpkin seed oil was very effective against S. aureus and showed almost same inhibitory zone as shown by the control Streptomycin. Encapsulation viz gel entrapment method is an effective way for the encapsulation of pumpkin seed oil. Asma Sohail: Conceived the idea, Technical Input at every step, Overall Management of the article, Wrote abstract, Methodology. Kashif Sarfraz Abbasi: Methodology, Result and discussion, Did Statistical analysis data entry. Maryum Arif: Introduction, References, Conclusion. Fatima Najam: Methodology, Result and discussion. Adeel, A., A. Sohail and T. Masud. 2014. Characterization and antibacterial study of pumpkin seed oil (Cucurbita pepo) Life Sci. Leaflet. 49. Alfawaz, M.A. 2004. Chemical composition and oil characteristics of pumpkin (Cucurbita maxima) seed kernels. Res. Bull. Food Sci. Agric. Res. Cent. King Saud Univ. 129: 5-18. Ankita, S., K. Parminder and G. Ruby. 2012. Phytochemical screening and antimicrobial assay of various seeds extract of Cucurbitaceae family. Int. J. Appl. Biol. Pharm. Technol. 3: 401-409. Bilia, A.R., C. Guccione, B. Isacchi, C. Righeschi, F. Firenzuoli and M.C. Bergonzi. 2014. Essential oils loaded in nanosystems: A developing strategy for a successful therapeutic approach. Evid. Based Complement. Altern. Med. Donsì, F., M. Annunziata, M. Sessa and G. Ferrari. 2011. Nanoencapsulation of essential oils to enhance their antimicrobial activity in foods. LWT-Food Sci. Technol. 44: (9) 1908-1914. Gohari Ardabili, A., R. Farhoosh and M.H. Khodaparast. 2011. Chemical composition and physicochemical properties of pumpkin seeds (Cucurbita pepo subsp. pepo var. Styriaka) grown in Iran. J. Agric. Sci. Technol. 13: 1053-1063. Guangcai, N., Z. Dan, L. Zhijiang, Z. Feng and W. Ziliang. 2007. Study on Micro-encapsulation of pumpkin seed oil. Chin. Agric. Sci. Bull. 9: 43. Hegazy, E.M. and O.S. El Kinawy. 2011. Characteristics, of pumpkin and bottle gourd in egypt and potentially their contamination by mycotoxins and mycotoxigenic fungi. J. Am. Sci. 7: (9). Jiamrungraksa, T. and S. Charuchinda. 2010. Preparation and characteristics of galangal essential oil/alginate microcapsules. J. Miner. Met. Mat. Soc. 20: (2) 89-92. Manjanna, K., B. Shivkumar and A. Raichur. 2010. Effect of manufacturing conditions on physico-chemical characteristics of aceclofenac sodium microbeads for oral modified drug delivery. Der Pharm. Lettre. 2: 486-508. Nwabanne, J. 2012. Kinetics and thermodynamics study of oil extraction from fluted pumpkin seed. Int. J. Multi. Sci. Eng. 3: (6) 11-25. Shobha, B. 2012. Extraction and characterisation of pumpkin (Cucurbita mixta) seed oil. Life Sci. Leaflet. 7: 45-49. Steel, R., J. Torrie and D. Dickey. 1997. Principles and procedures of statistics: A biometrical approach. WCB. McGraw-Hill, New York. Topallar, H. and U. Gecgel. 2000. Kinetics and thermodynamics of oil extraction from sunflower seeds in the presence of aqueous acidic hexane solutions. Turk. J. Chem. 24: (3) 247-54.